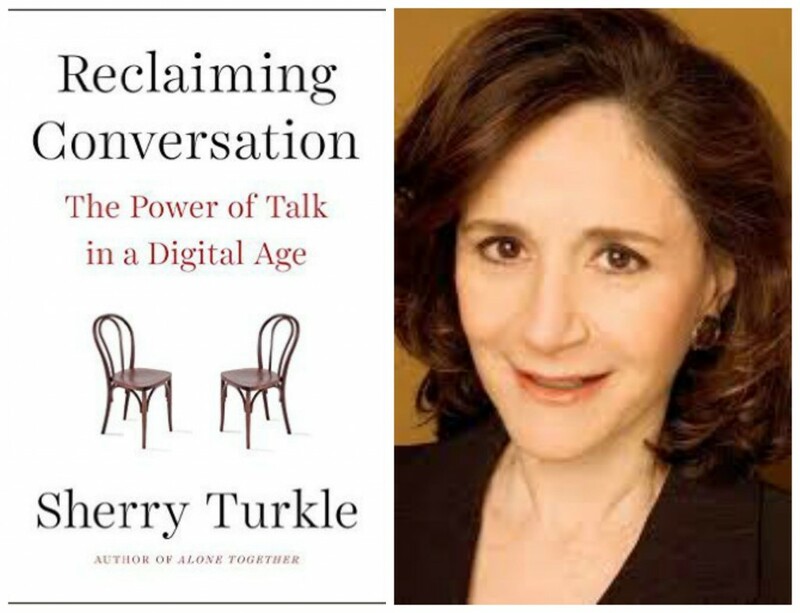 Sherry Turkle, an MIT professor who has been researching the effect of technology on relationships and behavior for thirty years, first got my attention a few years ago when her book Alone Together was published. If our kids are always tethered to their devices, she said in one interview (I’m paraphrasing), if they don’t know how to be alone with themselves, or learn the power of self-reflection, they are destined for a life of loneliness. It was terrifying, especially to a generation of parents (us) who are the first to raise kids in a digital world and, as a result, often feel like we’re making up the rules as we go. Naturally, I started stalking Turkle and just finished her newest book, Reclaiming Conversation, a call to arms to put down our phones and start connecting for real. (Her op-ed, “Stop Googling, Let’s Talk,” remains the most-read story in the New York Times this week, so clearly I’m not the only one fascinated by this topic.) It’s not all gloom and doom, though, don’t worry. 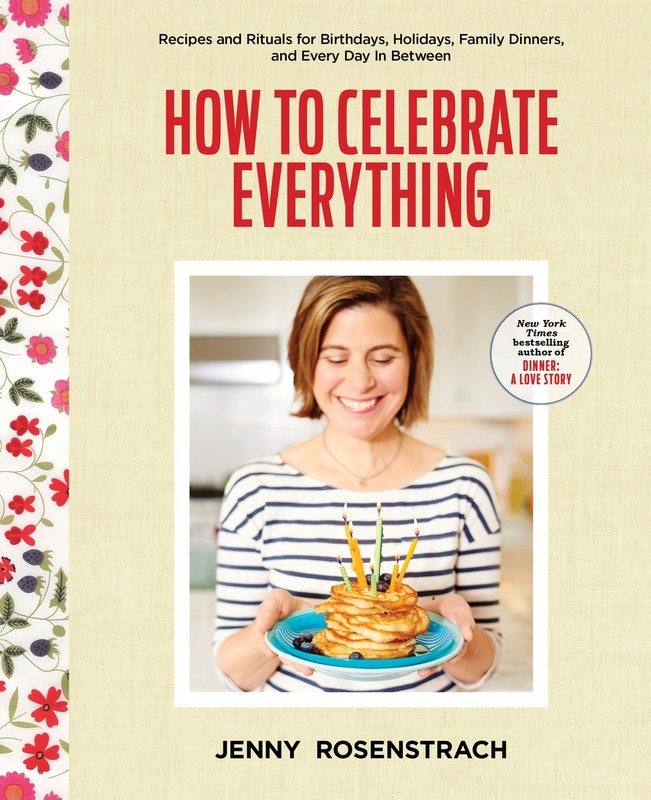 I particularly love that Turkle often talks about how family dinner can play a significant role in reviving “the lost art of conversation.” She was nice enough to get on the phone with me to hash it all out. JR: Welcome, Sherry! 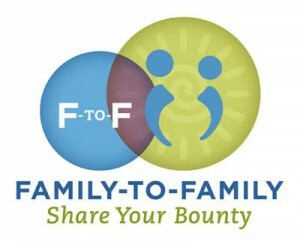 So first, tell me about the act of family conversation at the table and why it’s so important. Turkle: Here’s what happens during family conversation: The first thing is you imagine other minds, you imagine the minds of your family, and over time you learn to empathize. The conversations allow adults to model listening, to show children how listening works. It’s in family conversation when children learn that it’s comforting to be heard and understood, when they learn the pleasure of being heard and understood. So in that way, these talks are the most important building blocks for empathy. And the reason why dinner conversation is an important part of this is because ideally, it happens one night and then it happens again, and then it happens again. It has that quality that most conversations don’t. You can talk things out, work things through, without acting out on your feelings. JR: Sometimes it feels like if we could just teach our kids how to be empathic, a lot of the world’s problems would be solved. Turkle: Empathy is in crisis. It’s a skill. You learn it. You’re born having the capacity for it, but you’re not born with an empathy “chip.” Or if you’re born with a chip, it needs to be allowed to unfold and practiced. It’s in family conversation where children go through the exercise of learning to put themselves in other peoples’ shoes, and it’s often the shoes of the sibling. When a sibling says this is what’s the matter, you get to hear what’s the matter, you get to hear what the sibling is saying and how he or she is saying it. All these things are key for developing empathy. JR: And what happens if we don’t have these family conversations? Turkle: If it’s not practiced, then you don’t learn that eye contact is the way to see how someone is feeling, and that face-to-face conversation is how you connect with someone. You don’t learn how to listen and take turns. You don’t learn to let someone speak their piece, and you don’t learn to be interested. Maybe it makes you anxious to listen? That’s ok! Listen some more — that’s a value. It’s through family conversations where you learn that all kinds of feelings are both acceptable and interesting. They don’t have to be hidden, they don’t have to be denied. What matters is that they’re there. JR: How are family conversations different from the conversations they’re having with their friends through texting and social media like Facebook and instagram? Turkle: Well for one, with their families, kids don’t have to watch every word like they do on social media. It’s not a performance. One of the big themes of my book is about how kids have terrible anxiety about conversation because they are so worried about getting everything right. But family conversation is a privileged, protected circle where they don’t have to worry about that. This is the message that they are not getting in the outside world, certainly not in school. JR: What I love about this book is that ultimately you have an optimistic message. That family conversation may be in crisis, but sharing a meal with your kids on a regular basis can actually play a role in making things better. Turkle: Yes! It’s an optimistic message. People behave like Facebook has ruined them, but we have everything we need to turn things around. JR: And how do we do that? One thing that surprised me was how much kids crave unplugged time with their parents, and how we, the parents, are as bad as our children, maybe even worse, when it comes to devices at the table. Turkle: Right. Well, it starts by simply saying Hey, we’ve looked at the situation in our family, and we’ve decided that we like to have family dinner. And it’s hard, but three times a week we’re going to pull it off without devices. And, by the way, no devices even close by, because you know what? This research I just read shows that a phone even in your peripheral vision causes you to be less engaged. It’s crazy, but it’s very compelling and who needs to take a risk with dinner? JR: I believe that research. I just took my 11-year-old to a wellness visit at the pediatrician’s office and when the doctor asked all the standard questions — Do you wear a helmet when you ride a bike? Do you wear a seat belt when you are in the car? — I noticed a new one: Do you keep your mobile phone or computer in your bedroom? Apparently, having your phone so physically close to you in a space that is supposed to be “safe,” causes anxiety that can disrupt sleeping habits. Turkle: They’re right. Maybe there’s a text that upsets them before bed, or maybe doctors are worried about the effect of screen time on REM. JR: I think that’s why I love the part in your book about the family who decides to put all their phones in a dock, in another section of the house, for the last hour of the evening so everyone can find a place of respite. That feels like a logical — if maybe difficult-to-enforce — solution. What are other prescriptive things we can to do to address the crisis in conversation? It’s easy to say “put down your phone,” but we know it’s not as simple as that. Turkle: The first thing is to be compassionate with yourself. The whole culture fell in love with this technology. We were given something magical, and we’re human, we’re vulnerable. I fell in love with it, too. But we need to recognize that these phones have had an unexpected consequence that none of us want — even though they’re connecting us, they’re taking us away from each other and affecting the ways we’re connecting with our friends and lovers and families. JR: So what do we do? Turkle: There are really simple things that can turn it around particularly when we’re talking about kids. Dinner is one of those things. It doesn’t matter if you’re unpacking fast food or if you’re really into cooking. 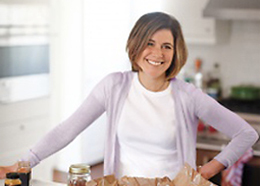 Food prep and eating together and going out to eat together…it’s all the same as far as conversation is concerned. It’s around food where people relax, where people talk, where people look each other in the eye, and where they say “We’re ready and we’re listening.” And you don’t want to mess with that. Reclaiming Conversation, by Sherry Turkle. Tomorrow: Advice for how to get the conversation going. Related: Jonathan Franzen reviews Reclaiming Conversation. First time to comment on your site even though I read all the posts, but I had to say something. It’s not just families with children! I am always always always nagging my husband about his phone, I’ve tried to remove all screens from our bedroom but have had real push back, and they’ve ended up back. My feelings get really hurt when I’m mid sentence and I realize his eyes have crept back to the tiny screen and he’s flicking through some click bait post about fat celebrities, it is a really lonely feeling. I often remind him that I want to have a screen free conversation and find myself thinking “Should I have to remind you? Am I not interesting? Why is a stranger’s opinion more important than mine”. I think a really important takeaway is that if we as adults can’t model this for our kids how are they supposed to learn? I’m pregnant with our first child, and I’m going to do the best I can to ensure that we have healthy, supportive conversation, but it’s really hard when its not something that both parents are on board with. Sometime recruiting your partner is the hardest part. Thank you for this comment, @bizness. I completely agree — and so does Turkle, you’ll see if you read her book — that this is an issue for everyone, not just kids. Maybe you should send your husband the link to her NY Times story (‘Stop googling, let’s talk”) and make it the topic of tonight’s dinner conversation. Keep us posted and good luck. I so agree with you and the story sounds familiar to what I’m dealing at home. But is it possible that the problem is deeper that we think? I mean, come on, how long can you look at politicians, football news, and celebrities before you realize that it’s all negative and you get nothing real for yourself – no knowledge, no truth… Nowadays, everything is just a PR and marketing and it should be just a matter of time before a person realizes that it’s just a waste of time. So, I’m wondering, isn’t this just a sign that you miss something meaningful in your life, like a dream or some kind of goal that you want to achieve? i love this post! my kid is in a public elementary school that has embraced teaching empathy through http://empathy.ashoka.org/. We are a “changemaker” school. As a family, we don’t allow any screens at the dinner table. It’s all eating and conversations, and learning how to listen. It’s not easy with an 8 year old, but we hope that repetition will get us there. I’m part of a curious generation- the first to grow up with computers at home, and the last to grow up before the ubiquity of smart phones. I remember when we had screen time rations- an hour of computer or TV a day, and we could choose how to divide it. That’s not something that would work in the same way now, and I can’t imagine how difficult it is to set limits on smart phone and screen time use now. My family was always rushed up until dinner time, and we wouldn’t always have time for dinners, but a few times a week we had game nights, and we still do when we’re all together. My brother still lives at home, and during those times the only way we can use our phones is to put on Pandora. It’s such a fun time, and it’s also one of the best ways that we connect. It seems that screens aren’t our enemies, we just as a culture haven’t found a way to make sure we’re using them, rather than being used by them yet. I hope we find our way there.